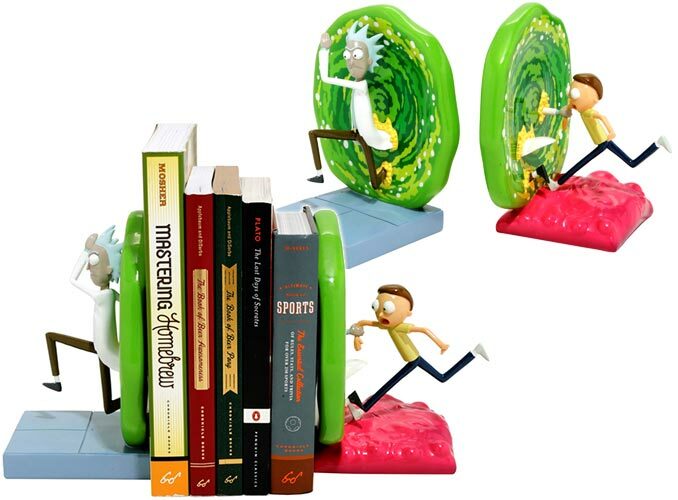 While not functional for teleportation, these Rick and Morty Portal Bookends work just fine at keeping your books from falling over. 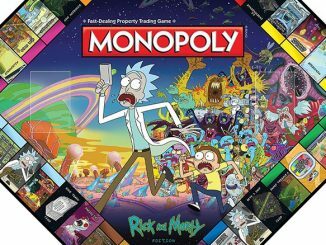 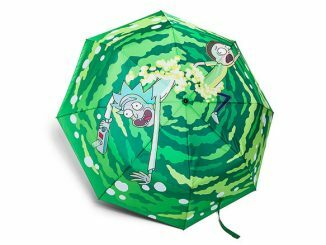 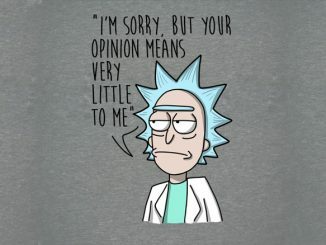 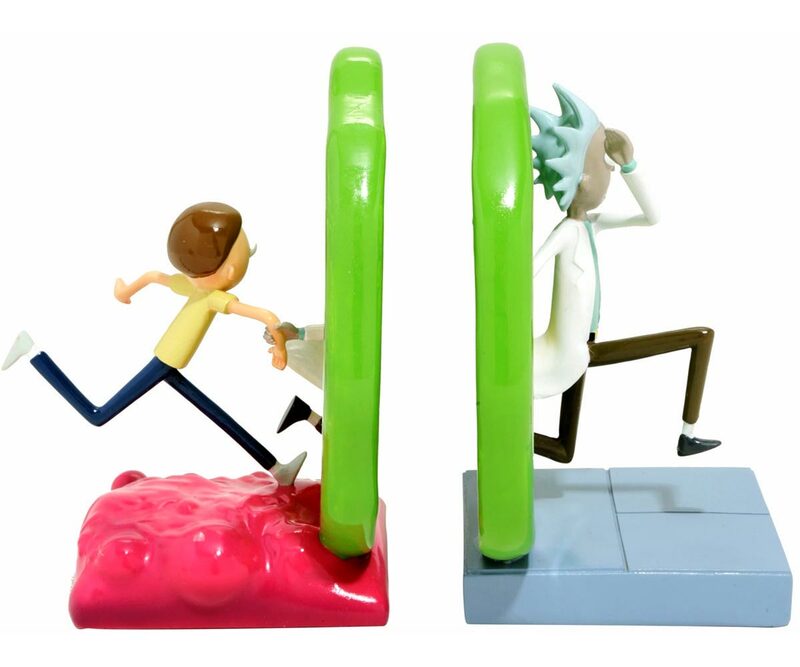 They feature the famous duo hopping between dimensions with Rick leading the way and dragging Morty behind. 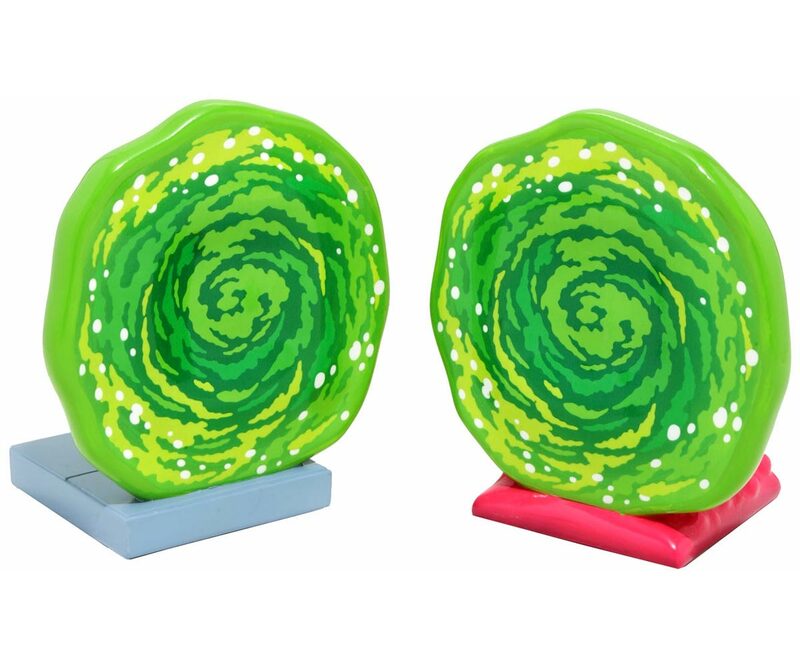 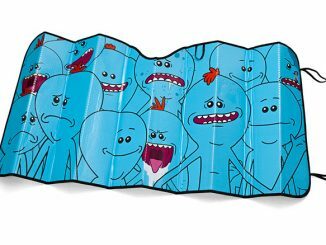 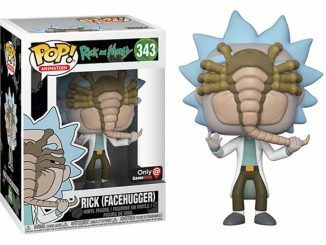 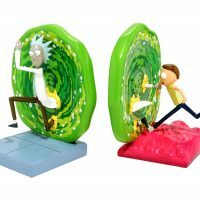 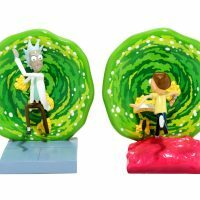 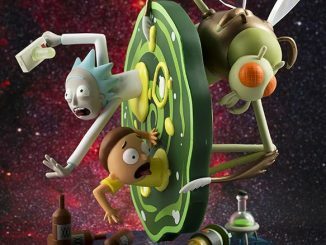 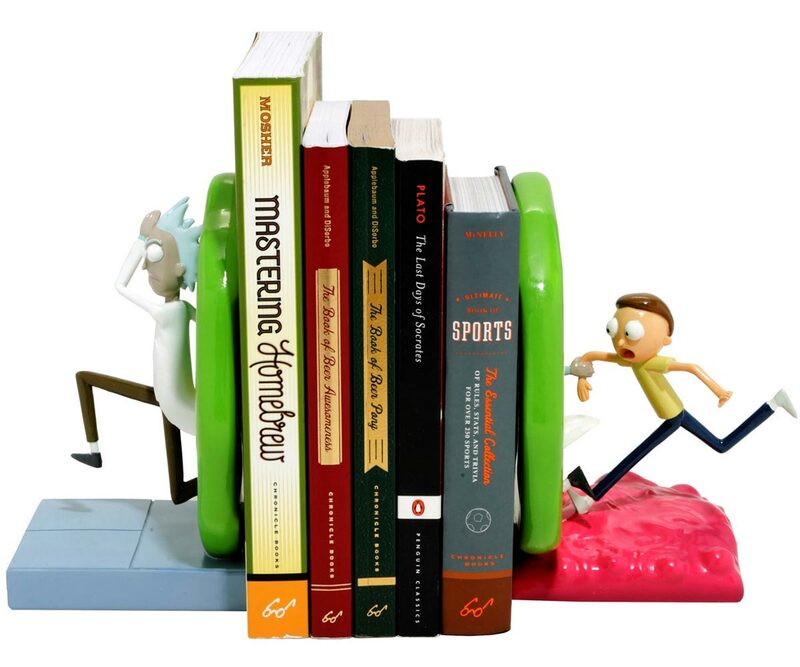 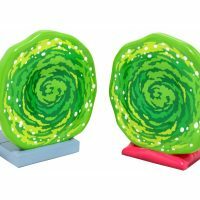 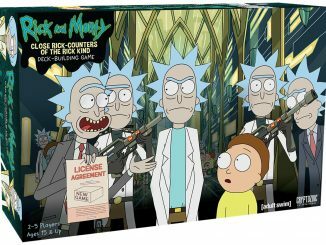 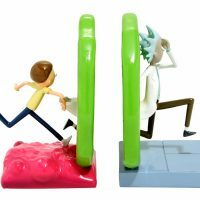 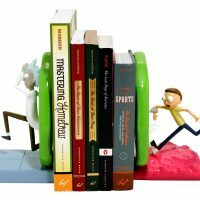 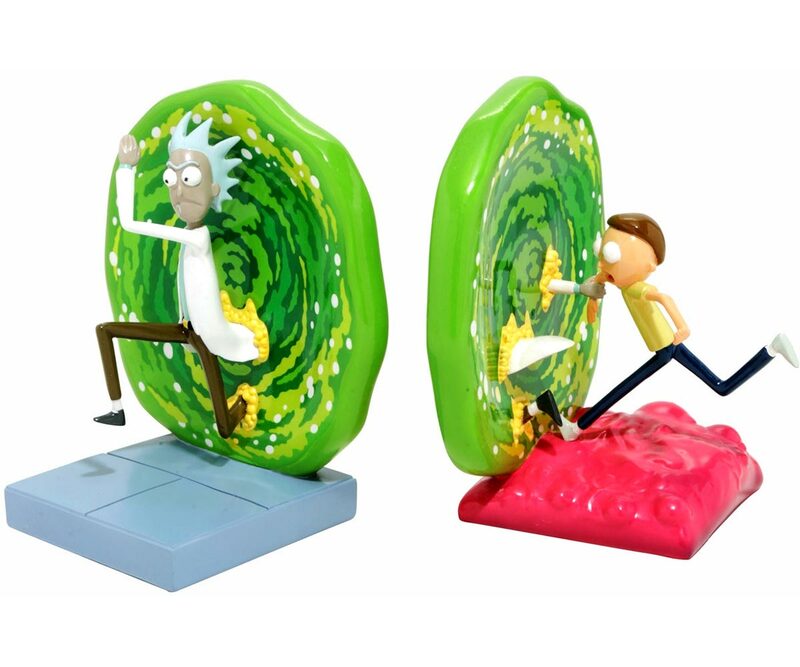 If you collect Rick and Morty portal related merchandise, such as the Watch, Umbrella, or Medium Figure, you’ll also want these bookends in your collection. 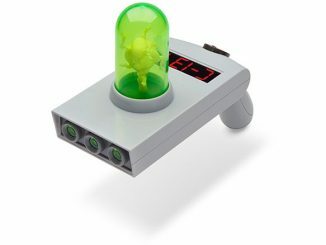 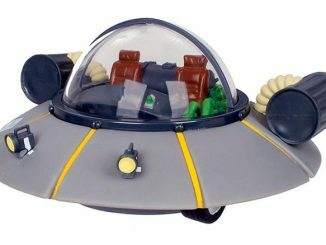 Naturally you’ll also need the Portal Gun Replica, in case you want to do any inter-dimensional travel yourself. 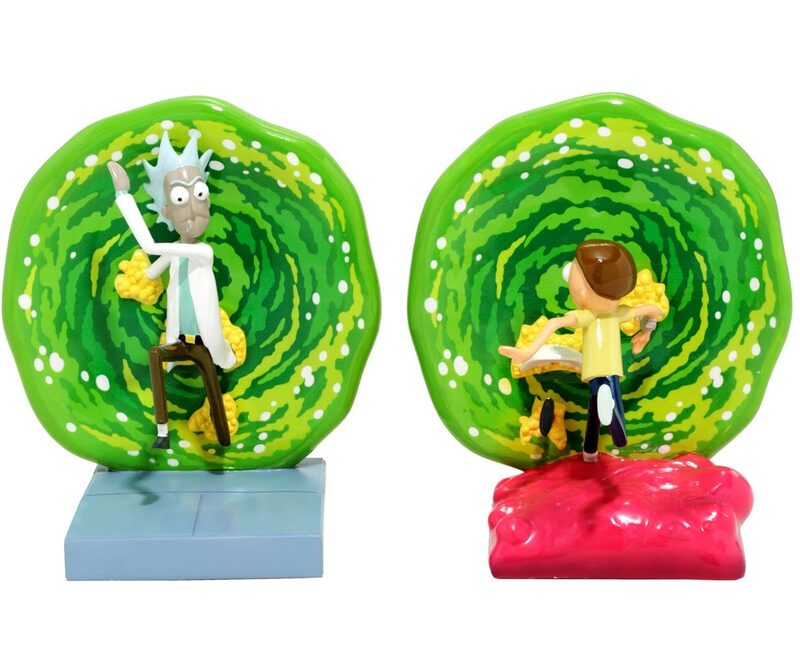 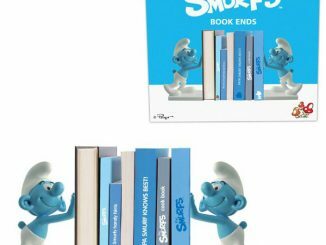 Rick and Morty Portal Bookends are available exclusively at BoxLunch. 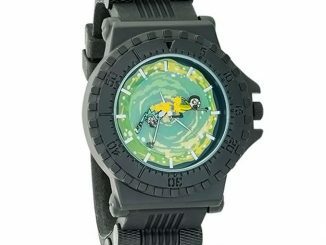 Their regular price is $59.90, but at the moment they are on sale for $47.92 (20% off). 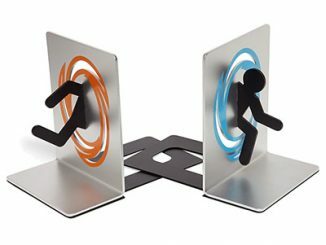 For a blast from the past, check out these Portal Bookends based on Portal video game from Valve.